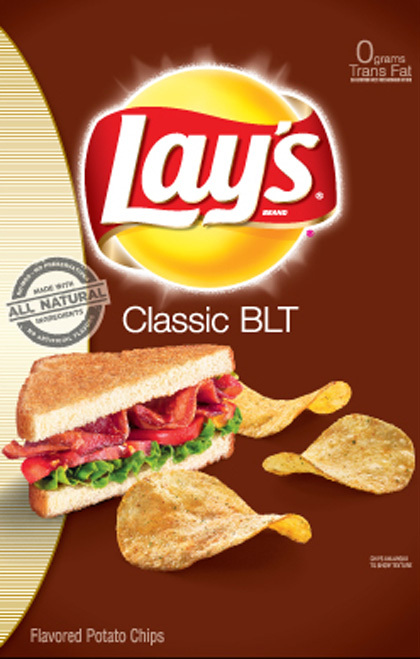 Home › BACON › BLT Potato Chips, Spiral Hot Dogs + Bacon On A Stick! Super Seoul Beer! More Crazy Food! 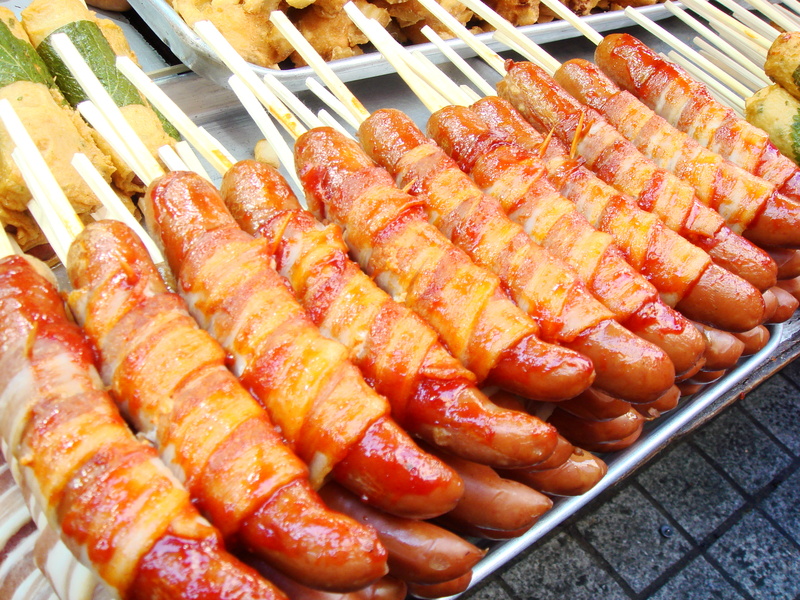 Who needs some bacon-wrapped hot dogs on a stick? I sure do! 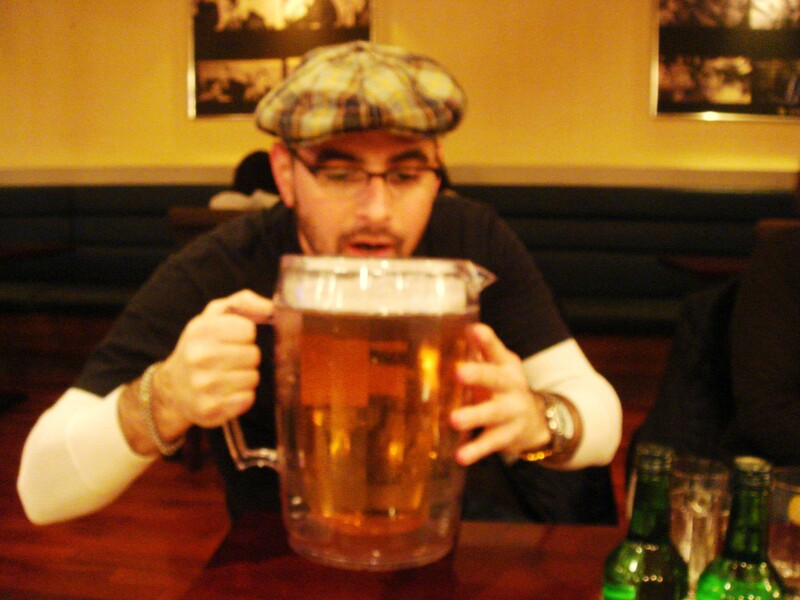 Some crazy new food items are “breaking news” today, and a trip down memory lane – a G4 trip to Seoul with the world’s largest beer! More breaking bacon news to share! Yes, we all love a good BLT…but what about this! Nice to see they are available in the handy multi-pack! Convenience store, 7-Eleven, has produced a new product for their 7-Select line: “Big Bite Hot Dog Flavored Potato Chips.” Yes, a potato chip that taste like a hot dog! If eating an actual Big Bite hot dog from 7-Eleven wasn’t enough, grab a bag of these ketchup, mustard and relish spiced chips and have the ultimate heartburn-inducing meal. No word if there is actual processed meat in these chips. THE AMAZING SPIRAL HOT DOG! 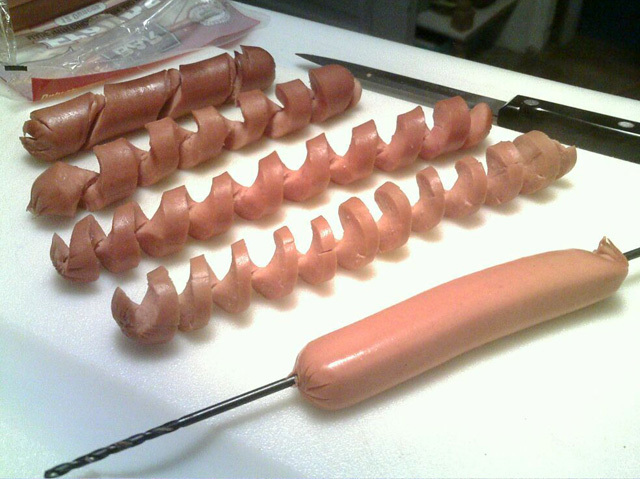 ALSO FROM LAUGHINGSQUID: Using a metal drill bit and his “fave dog slicin’ knife”, Iowa-based Daryl Downer has transformed ordinary hot dogs into spiral cut ones. 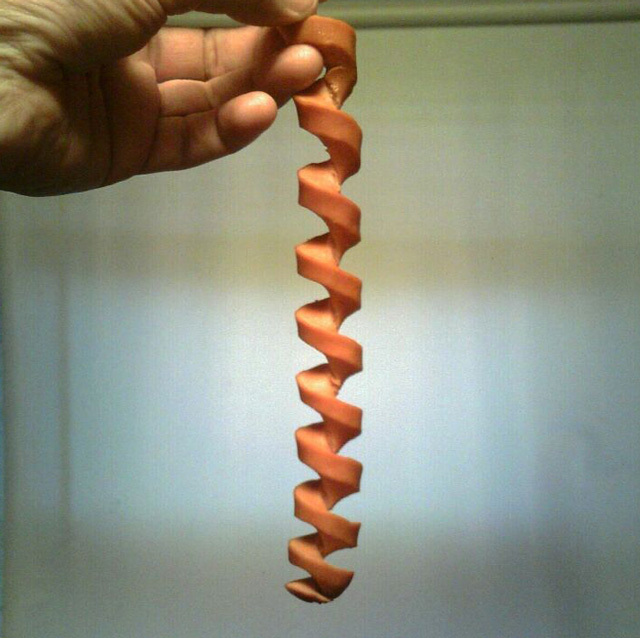 He has posted detailed instructions on how to make these at home – Laughingsquid has a link. 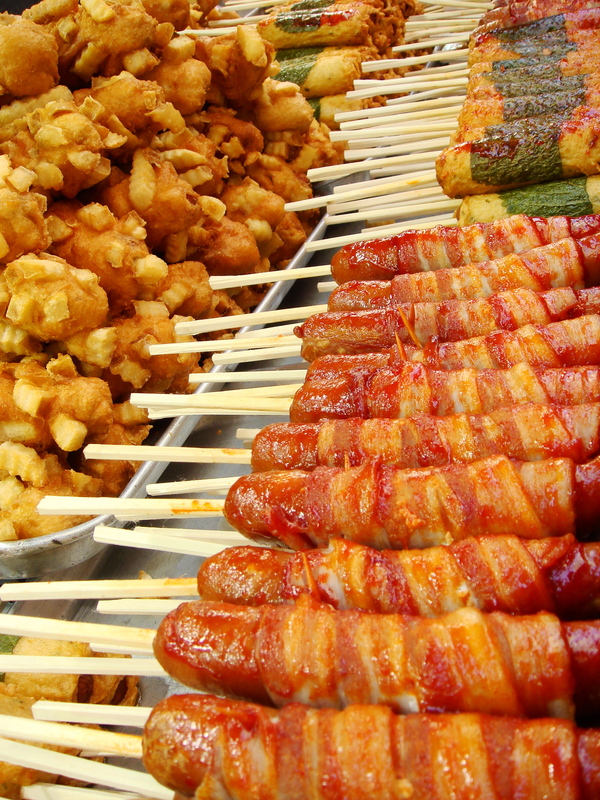 In 2007, a number of G4 staff headed to Seoul to shoot a bunch of segments on technology – so of course, we headed out to find bacon-wrapped hot dogs on a stick! First of all, a number of us (Wade!) 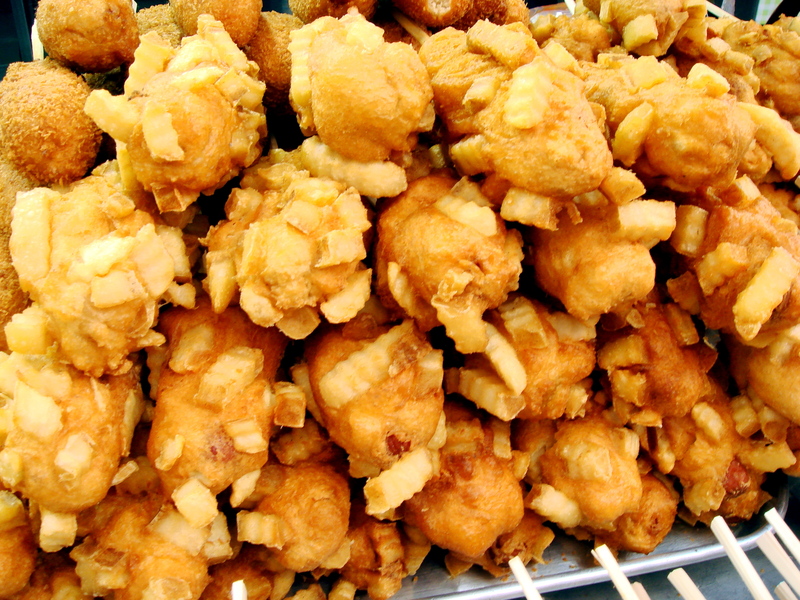 ate these – and they were delicious…coated with a spicy korean-style glaze that tasted great! All of this spicy food made us thirsty, of course, so we headed to a bar with the world’s biggest glass of beer. Sorry this is a blurry photo (Wade! ), but we did, after all, just have a few beers…. 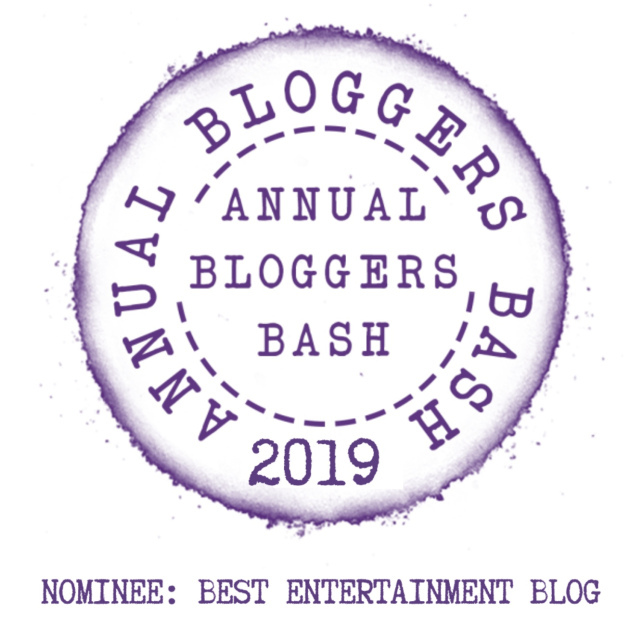 ‹ Hungry Cops, Working Girls and Martyrs! These Women Can ACT!